Greece…indescribable. | La même lune. I just spent over 5 minutes trying to come up with a good title for this post. It was pointless. I realized that one does not simply describe a place like Greece. It’s more than amazing, more than just beautiful. Greece is not a country you can describe with a word but with a feeling. With memories. Stories. Maybe some photos, to at least TRY to show what it’s like there. 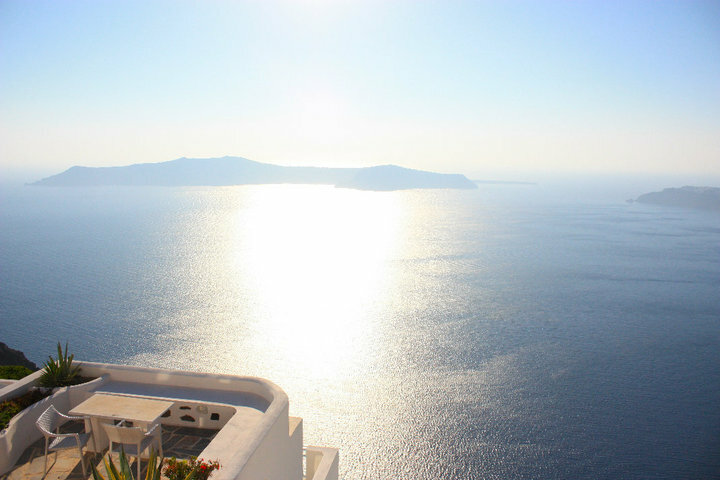 But in the end, what Greece really is…is indescribable. It goes beyond words. And just to make myself clear…The crisis and everything bad that is going on in Greece at the moment is NOT going to be a part of my posts. Because I want to speak of what I experienced there and I will not go into any political matters, at least not as first anyways, simply because I want to talk about the MAGIC….and not about how the magic is fading. I was still living in the US when my mother told me there would be a big speech pathology convention and that it would be in Greece. She talked about bringing me with her since I would be back in Brazil by the time of the convention. We were skyping and looking at pictures and that was probably the first time I had researched anything about the country. It’s not that I didn’t like it or weren’t interested by it, I just hadn’t had the chance to stop and think about Greece, before. No need to say I was mesmerized by all the photos. Greece is so full of history, it’s a big walking museum if you ask me. Obviously I had studied about it in history classes and philosophy in school but looking at the pictures of Athens and the Greek Islands, I just couldn’t help but be excited to see all that the books didn’t show me. My mom and I took a flight to Rio de Janeiro where we met her friend Deborah–who lives there– and then the three of us proceeded to Madrid, Spain. That’s a story for later, haha. But we did spend the day there, since our flight to Athens was only later that night. When we got to Athens, it was night and it was extremely warm. We would only stay there for one night before going to Santorini and then Mykonos, then we’d go back to Athens for the convention. It was a business trip but how could we NOT go meet those amazing islands that look a lot more like paradise than anything else, really. Our night in Athens was full of laughs and funny happenings. We found a hotel to stay in that was not exactly the most luxurious place on Earth. It was far from it, honestly. But we thought ” hey, it’s just one night, why not!?”. To be fair, the hotel was not all that bad. Besides the fact that the elevator could only fit 2 people and maybe a carry on, we were in Athens and could not let anything bother us. At least that’s what I kept telling myself. While my mom was taking her shower, me and Deborah were chatting and opening the things we bought in the free shop at the airport. That’s when Deborah looked at me with some sort of scare on her face and told me calmly: ”Luah….don’t freak out but there is a cockroach right there.” I didn’t exactly freak out, I found the whole situation funny. I knew my mom would have a heart-attack! So we had to take care of it before she got out of the bathroom. When Deborah got my UGG (my furry boot) to kill the poor bug, we heard the bathroom door and we both screamed: DO NOT GET OUT OF THERE. She peaked outside to see what the heck was going on and realized it was something she wouldn’t love. haha The damn cockroach was under my mom’s shoe, of course haha. We killed it and everything was okay. But sleeping in that room after knowing what had just happened, was a bit scary. I mean, I don’t get scared by bugs but I don’t exactly want to eat them in my sleep. I don’t think I ate any bugs at night, and early in the next morning we went back to the airport to go to Santorini. I had no idea that I was about to discover the most amazing place ever, the place I now consider to be my favorite on earth. Previous Apologies! Next Why we should travel young – by Jeff Goins.